18 times Serie A champions AC Milan were the first club in Italian football to host a Google+ Hangout this week. The ‘Rossoneri’ have been keen to utilise Google+ and boost their numbers on the AC Milan Google+ Page in an effort to maximise on social signals on Google and improve their Football Social Media. The Italian giants hosted a 30 minute Hangout with AC Milan legend Daniele Massaro – who answered questions from AC fans from all around the world. This move echo’s Chelsea FC’s Hangout with goalkeeper Petr Cech earlier this month, as the current European Champions attempted to experiment with Google+. Whilst Google have struggled to get their social network Google+ off the ground, particularly as the channel isn’t widely used by the mainstream online population, the importance of the channel cannot be ignored. Search giant Google has been key to tie in Google+ into it’s search results, making the relationship between search and social increasingly important for marketeers. AC Milan’s Google+ Hangout attracted a large and varied audience, with fans tuning in to watch from Indonesia, Venezuela, Italy and the United Kingdom. Crucially, this demonstrates the benefits of social media for expanding international reach and tapping into new international markets. Furthermore, football clubs need to remember that just because Facebook and Twitter are popular here in the Western world, there are other networks that carry significant influence elsewhere – for example Google+ is incredibly active in Brazil while Sina Weibo is the primary choice for social media micro-blogging in China. 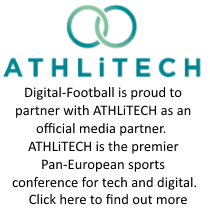 Milan were also keen to ensure that it wasn’t just fans who were watching – having invited a number of bloggers to the event, something that I think football clubs are massively failing to do (blogger outreach) at the moment. Bloggers are key for clubs to engage with fanbases on a very authentic and genuine level – they tend to hold all the keys and influence among social media fans. Yet, few clubs are willing to even consider blogger outreach as part of their social media strategy. In addition, Milan strategically ensured that the Hangout took place in the AC Milan trophy room – a place usually closed to the public. This is a great tactic and insight that I have been advising for several months – provide your fans with behind the scenes exclusive content and they will come. “Social media are a key asset in AC Milan digital strategy. We’re proud to be the number one Italian Club in terms of numbers of users following us on facebook, twitter, you tube, google plus and tencent. Our goal is to activate our supporters in many different ways. The hangout with Daniele Massaro – our legendary player – was just the first one of the season. The result of this excellent piece of social media strategy was that it helped AC Milan reach their target and surpass the 200,000 +1’s number for their Google+ Page. The return on investment for this, will come in the form of enhanced results in the search rankings, a large social media presence and ultimately a stronger brand reputation among fans, bloggers and industry professionals.